We are particularly proud of our vast renewed lounge bar, where you may freshen yourself with delicious summer cocktails sitting on comfortable reed armchairs. 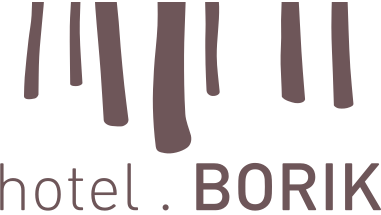 Hotel Borik has made available to its guests direct phone lines, SAT TV, an internet café, an exchange bureau and a bicycle rent service. You can reach the beautiful beaches by foot. The pebbly beach Tatinje is only 200 m away from the hotel, but if you prefer rocky beaches, we recommend you Bilin žal. The path to the sandy beach Pržine will lead you through vineyards and olive groves and you will find the sea in that cove warmer than around the rest of the island. 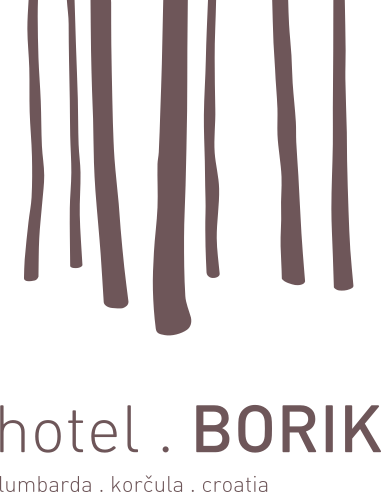 It would be a pity not to visit some of the fabulous sites near Lumbarda, which is the reason why the hotel offers excursions around Korčula, to Mljet, the most densely wooded island in Croatia and the worldwide famous pearl of the Croatian tourism, the town of Dubrovnik.